The Committee was first briefed by the Department of Basic Education on the State of School Readiness for 2019. The Deputy Minister led the presentation and said the main challenges are migration, overcrowding, sanitation and planning. On migration, the Western Cape and Gauteng remain the biggest recipients of migrant learners. On admission and enrollment, an online registration system will be introduced to deal with the allocation of children in schools. Violence in schools will be addressed by maintaining a close relationship with the South African Police Service. The Committee was then briefed by the Department on the National Senior Certificate (NSC) Examination Outcomes for 2018. The principles of efficiency and quality in the education system remain the two critical areas that need improvement. New subjects were introduced, most notably Sign Language, and this was demanding on the system. There has been a decline in the subject enrollment for Business Studies and Accounting and a move towards enrolling in Technical Mathematics. On the issue of the policy of progression, the Western Cape has not been adequately supporting progressed learners. 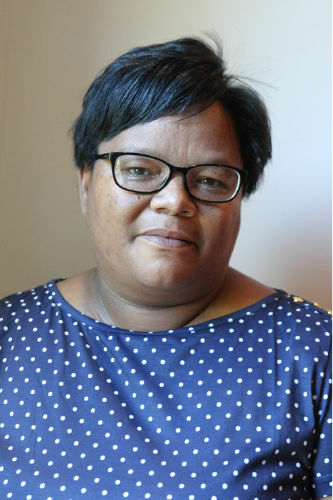 On the issue of inclusivity and providing for learners with disabilities, the Northern Cape and the North-West need greater advocacy campaigns. The Committee was then briefed by the delegation from Umalusi on the NSC Examination Outcomes for 2018. The results of the examinations could be announced with approval from the Council because they were fair, free from irregularities and credible. Not all the directives issued to the Department were fully complied with. Particularly non-adherence to subject assessment policies in all of the provinces, manual packaging of question papers, late delivery of marking guidelines and verification of marking. The Department was commended for its approach to addressing irregularities reported during the conduct of the examinations. Members of the Committee raised concern on the drop-out rate as it has been repeatedly raised with the Department. The issue of infrastructure as it applies to school buildings, toilets and maintenance was also raised as a concern against the budget allocated to schools. Some schools are facing dire situations with no principals and an inadequate number of teachers and this is concerning for the school’s readiness. The Department was urged to prioritise schools that are not performing well and in particular, schools in rural areas so that the issue of migration could be curbed. The matter of providing learners with tablets was raised and how the lack of connectivity and security could present further challenges. The high rate of unemployed educators, the tracking of learners in the education system and the proper implementation of the progression policy were also raised. The incident where students were allowed to access examination venues without proper identification was raised as a concern as it impacts the issue of security and forgery. The Committee also raised concern on the quality of the Bachelors pass since not all students who obtained it wereplaced in universities. It was asked whether the National Benchmark Test (NBT) is a test of admission or placement and whether it would be continued in all universities. The Committee was assured that the NBT is a placement test and students cannot be excluded from universities on the basis of it. The Acting Chairperson greeted members of the Committee, wished them a happy new year and asked for the officials to begin their presentations. Mr Enver Surty, Deputy Minister, Department of Basic Education (DBE), greeted members of the Committee, officials from the Department, Umalusi and everyone else present. 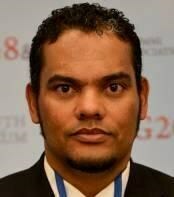 On behalf of the Ministry, he conveyed his deepest sympathies to Ms N Gina (ANC) for the loss of her spouse. Deputy Minister Surty explained that the Department has decided to create a hub to deal with the issue of registration at a district level. The online registration system in Gauteng has done very well and has been able to accommodate all learners who applied online. The only challenge remains with those who had not applied online. The online system will also be introduced in the Western Cape. There is a challenge of parents having to transport children to best-performing schools. This results in a huge request for admission and enrollment. The solution doesn’t lie in building new schools but rather in providing quality and excellence in schools that are not performing well. Computer literacy in the township schools remains an important thing to achieve. On safety and violence in schools, there have been assaults on educators, a lack of discipline in students and substance abuse. The Department has been working closely with the South African Police Service (SAPS) on this and the link between schools and the police must be achieved. Every single governing body must establish a sub-committee on safety and security so that schools work closely with nearby police stations. Deputy Minister Surty said the next presentation dealt with the National Senior Certificate (NSC) outcomes. The no-fees schools have produced more Bachelor passes than the fee-paying schools. Some provinces are paying specific attention to pure Mathematics while other provinces are not allowing students the option to do mathematics if they choose an economic stream. This is a problem in the system itself for not allowing students the opportunity to do Mathematics. The officials from Umalusi must be thanked for maintaining a credible system and members of the Committee for their continuous support for the Department. The Acting Chairperson thanked the Deputy Minister for his presentation and asked for the next one to begin. An apology from the Director-General (DG) of the Department was noted. 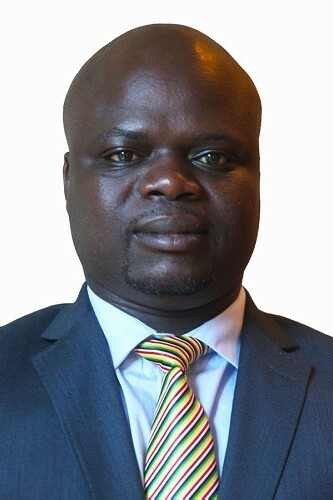 Mr Rufus Poliah, Chief Director: National Assessment and Public Examinations, DBE, greeted members of the Committee and said he will be adding on to what the Deputy Minister has already said. Several principles underpin education performance but the principles of efficiency and quality are two critical areas that need improvement. New subjects were introduced in 2018 and this was demanding on the system, particularly the introduction of Sign Language. Technology subjects along with Technical Mathematics and Technical Science were also introduced. On enrollments, the Department is requesting numbers and whether they are increasing or decreasing from districts and schools. On subject enrollments, there is a concern that Accounting and Business Studies are on a decline. There has also been a move towards enrolling in Technical Mathematics. Mr Poliah said the policy of progression has impacted the pass rate. Learners who spend more than 4 years in a phase are moved to the next grade and additional criteria is used to control the number of progressed learners. The Western Cape has been a concern because they are not doing much to support progressed learners. On the issue of the drop-out rate, the numbers are decreasing even though it is minimal. On providing for students with special needs, there needs to be greater advocacy campaigns in the North-West and the Northern Cape. On performance in terms of age and gender, girls are doing better where the bulk of learners complete matric by the age of 18 years. The concern lies with students who are as old as 26 and are still in the system. In terms of active social grant recipients, this allows students to perform better. The Acting Chairperson thanked Mr Poliah and asked officials from Umalusi to begin their presentation. Mr John Volmink, Chairperson, Umalusi, greeted members of the Committee and introduced the rest of the delegation from Umalusi. The presentation, led by the Chief Executive Officer (CEO), will focus on the quality assurance mandate and the whole value chain. The Council announced approval of the national exam results of 2018 based on the exams being free from systemic irregularities, fair and credible. The Department is commended for putting systems in place to make sure that the exams were incident-free. Mr Mafu Rakometsi, CEO, Umalusi, greeted members of the Committee and his colleagues. The Department was commended for taking the Council’s areas of concerns seriously and for strengthening the system. The NSC examinations are administered by the Department, Independent Examinations Board (IEB) and South African Comprehensive Assessment Institute (SACAI) which are all certificated by Umalusi. The introduction of new subjects means the mandate of Umalusi is expanding. The expanded mandate needs to be seen against the budget. Ms Mary-Louise Madalane, Senior Manager: Quality Assurance of Assessment in Schools, Umalusi, greeted members and said she will explain the processes undertaken to quality ensure the examinations. Directives are issued to the Department that must in turn report to the Council on any improvement achieved. On moderation of School Based Assessment (SBA), there was non-compliance in some of the directives issued. In particular, the directive to adhere to subject assessment policies in all provinces will be observed in 2019. Shadow marking remains evident in some subjects too and new directives will be observed in 2019. In monitoring the state of readiness, manual packaging of question papers in the Free State and North West was still not addressed. In the monitoring of marking, late delivery of marking guidelines was observed at some marking centres. In the verification of marking, Mathematical Literacy and Visual Arts needs specific attention and a more effective way needs to be found. Mr Rakometsi said the conduct of the Department in the 2018 NSC examinations was satisfactory. The Department is commended for the way it dealt with alleged irregularities reported during the conduct of the examinations. The Department is asked to address the directives for compliance issued in the 2018 quality assurance report. The Acting Chairperson thanked the officials from the Department and Umalusi for their presentations and asked members to raise questions. Ms N Tarabella-Marchesi (DA) asked officials from Umalusi to provide members with the list of subjects that have been adjusted. Did the introduction of new subjects have to be adjusted? There is concern that 2 schools in Limpopo received 0%. How does this speak to the readiness of these schools? The situation is dire, there were only 2 teachers there and the principals had resigned. When we have identified schools who perform badly, it calls upon the Department to go to those schools and make sure they start on the right footing from day one. There was an incident where learners were disrupted because of service delivery strikes and learners were moved to a neighbouring school. In January, the learners were told by the media they would have to write exams. There was an inconsistency between what the media was telling parents and the policy of the Department being applied. On the drop-out rate, it has been raised so many times. Why are some of the learners not accounted for? There is a school in the Free State where R36 million was spent on building the school and there is no water despite a feasibility study being done. Ms H Boshoff (DA) said there is a school in the Eastern Cape where R4.8 million was spent on toilets and only 9 were built. It is unacceptable that this money is being paid but the outcomes are not visible. There is an issue of schools not being built properly. What is the Department doing about the deterioration and aging structures of schools? What is the Department doing to ensure there is a maintenance budget? The subsidy from the Department is very low and schools cannot maintain their infrastructure with this budget. On feasibility studies, there was no water so how could it have been done correctly? On the providing tablets and Information Technology (IT), how will this be addressed if Eskom is failing? Schools don’t have generators and access to connection. Does the use of tablets improve learning outcomes? What research has been done that it will improve learning? There needs to be a dual system rather than relying on tablets. On students with disabilities, what is the backlog with regards to admitting learners and what has been put in place to address these challenges? How many enrolled and how many dropped out? Which subjects were the distinctions gained in? A big problem is the violence and sexual abuse in schools so the Department has put in place a requirement for teachers to have a SAPS clearance. What about incumbent teachers? They also need to be cleared. Ms C King (DA) said the technical detail and quality of question papers has declined in the moderation of papers and this is a concern. Some of the chief examiners don’t even know the subject matter at hand. What has been put in place to address this? The compliance percentage of examiners and internal moderators is a concern. In Business Studies, there has been huge discrepancies in the final marks. The level of questioning in Business Studies is the same as tertiary studies level and splitting the paper into 2 will not solve this matter. On schools that are of a technical nature, where are the subject advisors for these technical subjects? Are there capable and skilled teachers to teach learners? What must happen if subject advisors don’t even know the content themselves? This is failing the children from the onset. On the requirements to obtain a Bachelors pass, this is a concern because it makes the playing field easier for children to obtain it and when they get to university level the drop-out rates are high. When it comes to public schools, principals say they are now technical schools and receive no resources and no internet connectivity. What assistance are you going to give them in the future to rectify the challenges? What is the feasibility of tablets coming in? In terms of infrastructure, this impacts the issue of connectivity, safety and security. Mr X Ngwezi (IFP) said there is overcrowding in schools because the Department has not been prioritising rural areas and their development. China is one of the most over-populated countries in the world and they have prioritised the development of rural areas because if it is not done it disadvantages the urban areas. South Africa needs to learn from what China is doing. In the State of the Nation Address (SONA), the President said that in the future there will be one learner one tablet. Is the Department ready for this? On security in schools, the standard of security needs to be up to standard. How do you put money towards building a school but you don’t secure it? Infrastructure must be prioritised. Criminals and gangsters will know that tablets are in schools and we might face a high rate of crime if we don’t plan accordingly. Those who teach the learners must be trained in understanding tablets and technology. There is a secondary school in Umlazi that is facing overcrowding and urgently needs temporary classrooms. The number of teachers are also not adequate. Can the Department assist in this regard? Learners are getting Bachelors passes but they are struggling to get placed in universities. Is there quality in the Bachelors pass? There is not enough emphasis on colleges because learners only go there if all other avenues have failed. It is the last option if you don’t qualify for universities and this situation needs to be improved. On the appointment of markers, there is a high-rate of unemployment. Does it make sense to appoint teachers as markersas well? A university student who is sitting at home unemployed can be trained to be a markers? We keep resourcing the same people and don’t give experience and opportunities to other young people. This is something to be looked into. Can there be training of unemployed young people to be markers? It will help them in the future. Why do we have so many teachers who are unemployed? Mr A Botes (ANC) said a research report is needed on the status of current educators who are unemployed.On the non-adherence to directives issued by Umalusi, there were children who were allowed access to exam venues without providing identification. This is a breach of security and there must be consequences for it. Can you provide a detailed report on the consequences? The lack of vigilance compromises the standards. On the issue of the quality of Bachelor passes, it is worrisome that universities do competency assessments themselves. Does the competency test suggest the quality of a Bachelors pass is different from the quality of independent school passes? Is education a commodity in South Africa? On migration, there is a large amount of young people who are not in any vocational institute or are unemployed. A comprehensive study is needed to inform members of whether children are being directed to vocational schemes or whether they are part of the unemployed masses. On Mathematics, Economics and Business Studies, there is a negative number. The Department says it is because there is a migration to Technical Mathematics. Those 3 subjects are essential and a report is needed to see whether the drop in the 3 subjects are as a result of migration to Technical Mathematics. Is Technical Mathematics more difficult than Mathematics? Those 3 subjects are key to the 4th industrial revolution. Is it an issue of the capabilities of students or the competency of educators? Ms N Mokoto (ANC) said no learner should exit the system without being properly tracked. Why is there an issue of tracing and tracking learners? On the quality of Bachelors passes, who sets the agenda? There is a forum that deals with this sector and higher education is also a part of it, can you give us a briefing of the conversations that happen in the forum? Is it appropriate for learners who pass with a Bachelors to do a refresher course at university for the whole year? This means that students only start their degree in their second year. There is a concern about learners who are allowed to write matric examinations without identification. The issue of not producing proper identification impacts security, forgery and fraudulent certificates. What is the way forward? What intervention can the Department do to improve examiners? In terms of compliance, there is no consistency as some of the directives issued have a slight regression and some are non-compliant. On the issue of the budget as it relates to the introduction of new subjects, what is the response of the Department on this? The budget cuts has impacted the infrastructure of school buildings and sanitation. To what extent has it also affected the standards of schools? The Acting Chairperson said he wants to speak abou the progression policy. Where the policy is implemented correctly the results are good. Can the Department monitor and ensure there is a proper implementation of the policy? On the issues raised about age, we expect learners to complete grade 12 by the age of 17 and 18 but in special schools with learners with disabilities, are these learners also expected to complete matric by this age? There are learners who are on a waiting list to be admitted into schools, at what age are they expected to complete matric? On marking and the directives issued by Umalusi, the non-compliant matters are minimal that need to be improved on. The Department must improve on this. Mr Volmink said officials have the full list of subjects which have been adjusted with them and this can be provided to members. Of the new subjects that have been adjusted these included: Technical Sciences, Technical Mathematics, Wood-work, Digital Systems, Electronics, Fitting and Machinery, Welding and Metal Work and Sign Language. The gateway subjects which have a big enrollment that have been adjusted are the following: Mathematical Literacy, History, Geography and Accounting. The quality of Bachelors passes is an ongoing discussion but there is a distinction between a placement test and an entry test. The only entry requirement to university is the NSC and the National Benchmark Test (NBT) is a placement test. A student cannot be excluded from university on the latter. The NBT project has been abandoned by most universities. Ms Mokoto replied that learners are still writing the NBT. Mr Volmink replied that it is being abandoned as a project and it is not a requirement to be placed in a university. On the question about Business Studies, the NSC was introduced in 2008. In 2014 the NSC had been revised and this had certain implications for Business Studies. It is not because the exam is more difficult or of a university level, it is because the examiners and moderators look at what the learning objectives are. Both examiners and moderators agreed that it was a fair paper. There was no adjustment to Business Studies last year because the system cannot continue being fixed. The issue of Business Studies must be seen against the context of the failure of learners together with educators to meet learning outcomes that came about in 2014. Mr Rakometsi apologised for not including the adjustments in the presentation and said this will be provided to members. On the discrepancies found in the markers and moderators, there were interventions put in place. There is a task team that is working on a training model and very soon there will be a plan for the training of these people to avoid a recurrence of this problem. On Business Studies, when looking at the tables, graphs and qualitative reports, there was nothing compelling to do an adjustment. The 30% pass rate is not a new requirement in the system and the pass rate is as old as the NSC itself. He added that it used to be 25%. On appointing unemployed students as markers, this is a matter that needs to be discussed at Council level because it has implications on quality. When you have not taught a subject, you don’t know all the corners and ramifications of the subject and there will be a risk of dropping the standards and quality. On non-compliance to directives, this will have to be addressed by the Department and not Umalusi. On the NBT, research is being conducted to determine the NSC as a predictor of success in universities. On providing identification, learners must have identification to write the NSC so that they can be traced through the system with an identity number. If the student can’t obtain an identity document because of social circumstances, it would be unfair to stop them from writing the examinations. This is why the rule was relaxed last year so that students aren’t unfairly punished. On the issue of budget, the Minister said a recommendation will be made to Council and then the issue can be discussed. On non-compliance, areas of concern and how the Department will deal with them are discussed in quarterly meetings. 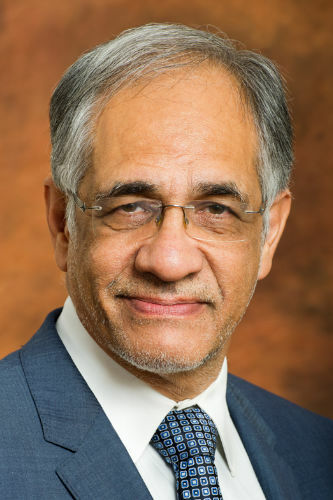 Deputy Minister Surty noted that there has been a decline in the drop-out rate. The drop-out rate is linked to the issue of undocumented learners. Many of them are not age appropriate. With the introduction of the Education Laws Amendment Act, it has to define an admission age for grade R and grade 1. A challenge that the Department is facing is the fact that Non-Profit Organisations (NPO’s) are saying that all undocumented learners must be admitted into the schools. This means that we must admit every single learner irrespective of whether they are documented. The learners in the application were from Lesotho and their parents were not available to assist. This is a reality, even in the Eastern Cape, where undocumented learners register with the assistance of the Department of Home Affairs (DHA). On the tracing of learners, there are so many learners in colleges. There is an issue where schools utilize their best teachers in the foundation phase and less competent teachers teach the senior phase. The Department argues that this is not correct. The examinations are moderated by Umalusi and are benchmarked internationally. The Bachelors pass doesn’t automatically mean that a student will go to university. Deputy Minister Surty said the Department has digitised more than 90% of the textbooks and workbooks. This is not to replace other textbooks or to say they are not allowed but irrespective of which school a learner attends, the core content is the same. What is needed urgently is connectivity. The President said over the next 5 years, each learner will have a tablet in order to bridge the digital divide. This will be done in an economic way where all content is uploaded and no child is at a disadvantage. On the issue of tracking, the Department has tracked about 12 million learners whose identities have been verified and this allows the monitoring of the migration of learners and to measure their performance.On using unemployed youth, there are discussions happening with regards to training them to assist teachers in understanding IT. Instead of using them as markers, they will be teaching the teachers on how to use technology so that they are equipped to teach learners. On the verification of students, students can’t be denied access to write exams because of their social circumstances. There is no blanket rule and the social circumstances are investigated. Deputy Minister Surty said that on the issue of conversations happening, these are at a political level. On subject advisors in technical schools, the teachers must be competent. Educators have been complaining that Technical Mathematics is more difficult than Mathematics. The Department has to look at it again and see how to refine it in a way that doesn’t compromise the system itself. On the matter of quality, there needs to be a change in circumstances so that learners are as advantaged as IEB students who sit for exams. On the progression policy, why did the Western Cape have such low numbers? That province must do better in providing the support for learners. On universities, the Department has made it clear to them that the NBT is not the criteria for admission. It remains a placement test. The Department will look at it to see if it has become an admission test. On the issue of the school in the Free State, the national Department has taken over that school. On the issue of spending on schools, the Department will report back on this to members. On maintenance, the budget that is allocated to schools can and ought to be used for maintenance. The Acting Chairperson then adjourned the meeting.